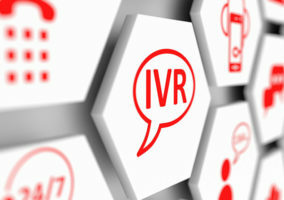 Despite a common dislike of touchtone technology, new research published by ContactBabel has found that IVR usage is still widespread in large call centres. Touchtone technology is used to greet callers in 56% of contact centres. In 2009 the number of call centres using IVR or speech recognition has shown a small decline to 64% (56% Touchtone IVR and 8% speech recognition), having peaked at 67% in 2007. In contrast the 2004 figure was 46% Touchtone IVR and 8% speech recognition. 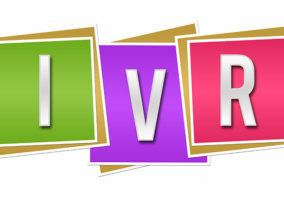 IVR usage is highest in telecoms and utilities and lowest in retail and distribution. The report also highlights that in voice self service a mean average of 17% of calls that go into the self-service option are “zeroed-out”, i.e. where the customer decides that they in fact wish to speak with an operator. The “UK Contact Centre Decision-Makers’ Guide (2009 – 7th edition)” replaces the “UK Contact Centre Operational Review” as the major annual report studying the performance, operations, technology and HR aspects of UK contact centre operations. Taking a random sample of the industry, a detailed structured questionnaire was asked to 210 contact centre managers and directors between April and July 2009. Analysis of the results was carried out July to August 2009. The result is the 7th edition of the largest and most comprehensive study of all aspects of the UK contact centre industry. A free copy of the Executive Summary is available from the ContactBabel website (www.contactbabel.com).